It was lovely to be working in my dry and cosy studio after Saturday’s soggy performance at the Bishop’s Stortford Farmer’s Market! I enjoyed arranging the new Christmas tree and decorations which look lovely. 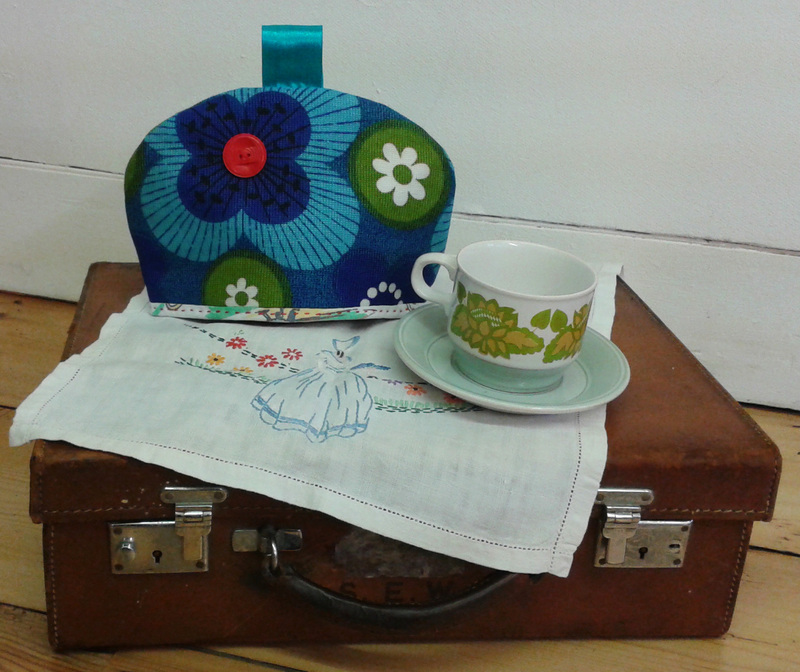 I’ve not had too much time this week to do a lot of making, but did make this cute little tea cosy from some of my favourite fabric at the moment. I’ll be sad when the fabric runs out! It was great to have some visitors to the studio too and thank you for the positive comments! 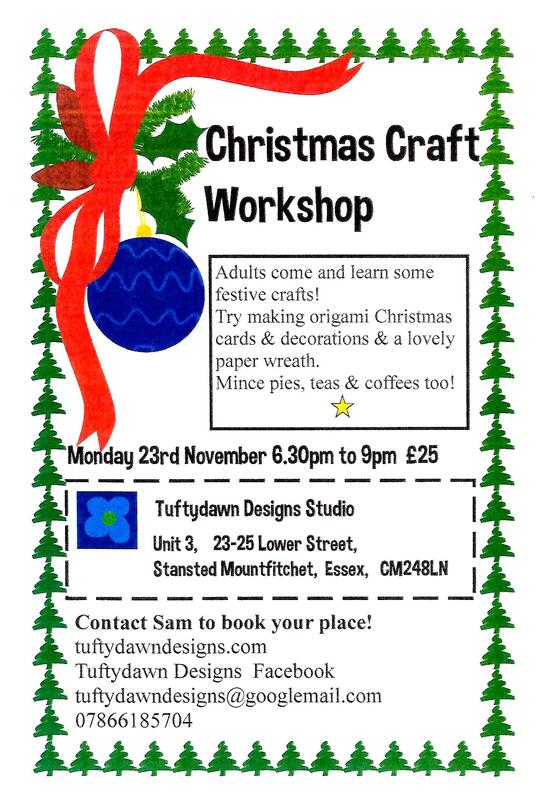 Book soon for the Christmas Workshop! A Soggy Day in Stortford!